An Apple job opening posted on Friday suggests that the company is looking to expand links between Siri and Apple Music, presumably in the form of new voice commands. The listing, discovered by AppleInsider, calls for a Siri software engineer with a general interest in music. The person is expected to "help extend Siri's integration with Apple Music," primarily by "designing and implementing natural language interactions and work flow." Candidates are required to have a bachelor's or master's degree in computer science, and five years of industry experience. Siri integration is one of several features that distinguish Apple Music from services like Rdio and Spotify. A number of voice commands are already built in, covering not just basic playback options but some that involve contextual cues and/or information from separate databases. Siri will prioritize popular albums when given common search terms, for instance, and can discover which song topped charts on a given day, month, or year. Whether or not they're already underway, new commands will likely have to wait until 2016, given a full slate of improvements coming this fall. 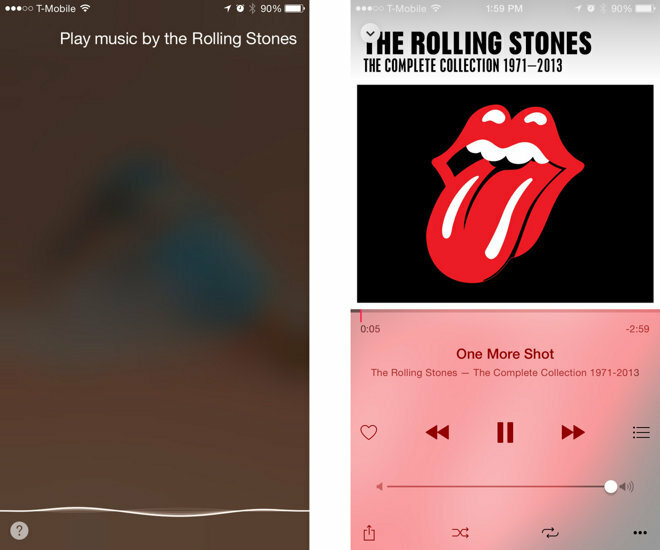 iOS 9 will give Apple Music a redesigned graphical interface, and the service should appear on Android and the Apple TV for the first time. Indeed a new Apple TV model with Siri support is anticipated next month.